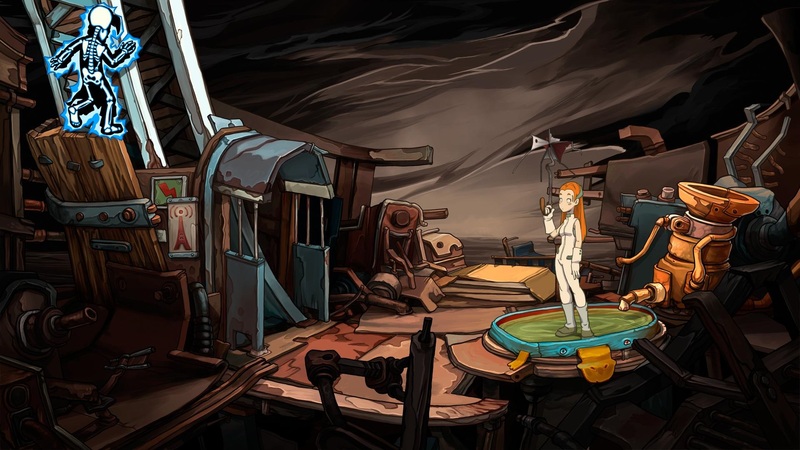 Chaos on Deponia is the second episode of a three part series of point and click adventures by Daedalic Entertainment. The final game in the series, Goodbye Deponia, is scheduled for release by the end of October, so now is the perfect time to play through Deponia and Chaos on Deponia. As point and click adventures, both games represent the genre well with plenty of puzzles, creative items and interesting characters. While I found the storyline in the original to be slow to start, Chaos on Deponia improves upon its predecessor with a more interesting story from start to finish. The storyline in Chaos on Deponia picks up shortly after the events of the first game and stars the same egotistical, selfish and stubborn protagonist, Rufus. After a very entertaining introduction in which Rufus manages to nearly destroy a house while attempting to pick up a hammer, we find ourselves at the Floating Black Market which is the setting for most of the game. The Floating Black Market is divided into a variety of areas including a harbor, a marketplace, a tavern and several other areas, most of which can be explored freely following the game’s introduction. It can be a bit overwhelming at first to have such a large area to explore in a point and click adventure game, especially as your inventory fills up with items that have been acquired and/or pilfered from every corner of the game world. In many cases, a recently picked up item will have a local use, but more often than not you will end up schlepping around with your pockets full of bizarre objects from all over the Floating Black Market. Almost a wretched hive of scum and villainy… but not quite. It will be worth it though, for throughout Chaos on Deponia you will finally get to learn all about Goal, the woman from Elysium (the upper class city in the sky that Rufus dreams of moving to). As you might remember, Rufus spent most of the original game attempting to restore Goal to consciousness. It turns out Goal is a delightful character, and she has three distinct sides to her personality that Rufus is actually able to interact with independently of one another. There’s Lady Goal, pompous and proper, Spunky Goal, athletic and confident and Baby Goal, naïve and innocent. These three different personalities are all relevant to the puzzle solving in Chaos on Deponia. For example, Spunky Goal will refuse to visit a psychic, while Baby Goal will be eager to have her future predicted. The three dispositions of Goal serve to make Chaos on Deponia one of the more interesting point and click adventure games I’ve played. It also does wonders for the overall storyline, keeping it interesting from beginning to end. It isn’t the best story ever written, but it does provide enough motivation to stick with the game until it’s over. There’s a reason Rufus rhymes with doofus. The sense of humor is also (slightly) improved over the first game. Rufus is still exceptionally immature, but at least the timing of the slapstick has improved, so you’ll enjoy seeing him in pain frequently throughout the game. Things have also taken a turn for the morbid in several cases. I have to warn you, if the thought of the association between baby dolphins and cat food makes you nauseous, you might want to proceed with caution if you choose to play Chaos on Deponia. There are also a couple of funny moments where the 3rd wall is broken, which I found to be a welcome change of pace from the rest of the humor in the game. Part of what makes the comedy work is the visual presentation. Although the lip syncing is mostly terrible, there are occasional moments when the characters will react to something with hilarious facial expressions. The rest of the game looks great too. The art style hasn’t really changed since the first game, but it still manages to look more like a cartoon than a game. The backgrounds look almost too good, and it sometimes becomes difficult to notice objects that can be interacted with or picked up, which can be problematic. Just like in Deponia, Chaos on Deponia has no hint system whatsoever, so if you get stuck, you will have to search the internet for a guide to help you along. It’s unfortunate really, because the game flows pretty well until you get stuck, and then it can take ages to figure out what you missed if you don’t consult a guide. Oh the other hand, there’s something rewarding about those moments when you finally realize what you had been missing, or why you’ve been holding on to an anchovy on a stick for the last 5 hours. 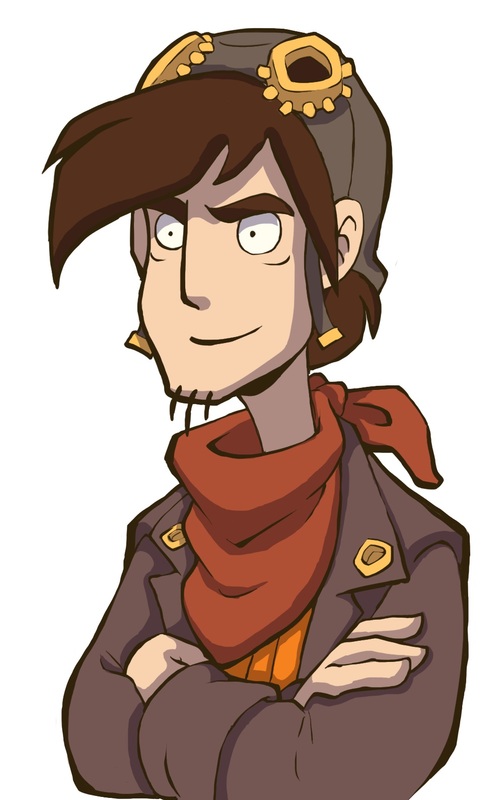 But overall, Chaos on Deponia is a solid point and click adventure, and a better game than Deponia. Now I’m looking forward to the conclusion of the trilogy, Goodbye Deponia, not only for the sake of seeing how the story ends, but also just for the sake of playing the game itself. 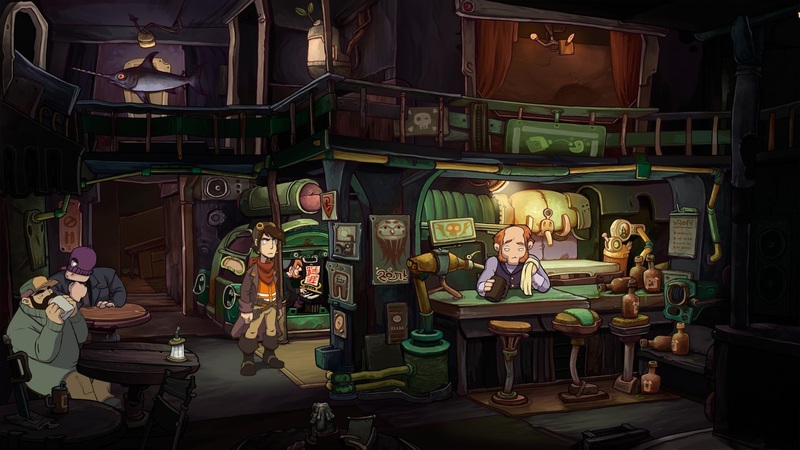 If Daedalic Entertainment is able to continue its trend of developing better games, Goodbye Deponia is sure to be a good one. As for Chaos on Deponia, it’s a safe buy for any fan of the genre, and it’s worth playing through the first Deponia game as well. Ari completed Chaos on Deponia in 12 hours. Daedalic Entertainment provided a copy of the game for review purposes.